While some personal injury cases are clean and simple, many are not. Particularly for injuries stemming from motor vehicle accidents, personal injury cases often include multiple at fault parties. For injury victims, New Jersey comparative fault regulations entitle some at fault parties to financial compensation through personal injury claims. These situations certainly allow victims to seek compensation, but they also require an in-depth understanding of state laws and the legal process to recover full and fair damages to cover expenses such as medical bills, lost wages, pain and suffering, and much more. If you or a loved one has been injured in an accident, please call our Morristown offices today by dialing 973-520-0525 for a free and confidential consultation today with a qualified personal injury attorney. 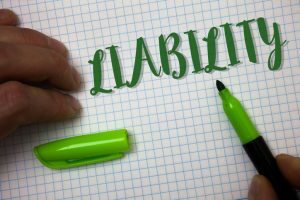 When partial fault is a factor in your personal injury case, the financial compensation available may diminish relative to how much fault is assigned to you. For example, if you are found to be 20 percent liable for an accident and the other party is 80 percent eligible, your total damages will be awarded as 80 percent of the total sum. For a $100,000 settlement or verdict, this will mean that the actual financial compensation will be in the amount of $80,000. 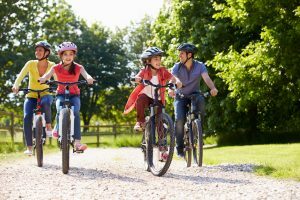 To better understand partial fault, our Mendham personal injury lawyers will examine a hypothetical case example which is representative of a comparative negligence claim. 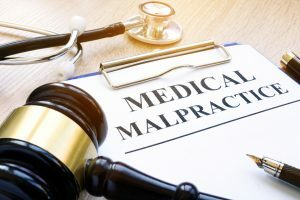 It is important to note that real life cases are considered on an individual basis and will likely vary dramatically dependent on the facts and nature of your situation. Let us suppose that Steven is traveling Northbound I-287 in Morristown. He is over the legal limit for intoxication with a blood alcohol concentration of 0.12. Meanwhile, David is also traveling on I-287 without his seatbelt properly fastened. Other than driving without a seatbelt, David is driving lawfully. Steven’s SUV collides with David’s sedan, causing property damage and injury to both parties. In this case, both individuals have broken the law, but with varying levels of severity. In this particular situation, it would likely be argued that Steven’s drunk driving was a far greater infraction than David’s failure to fasten his safety belt. However, Steven’s insurer would also argue that David’s injuries may have been far less severe if he had followed the law. 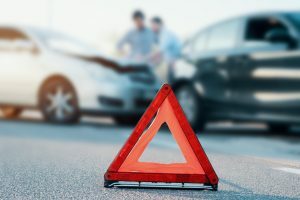 This is a fairly typical example of a situation where David could successfully seek damages from Steven’s insurer through a comparative negligence claim due to having a lesser degree of fault. The Law Offices of Michael P. Burakoff are dedicated exclusively to practicing personal injury law. This means that we are able to focus on providing you and your family with the legal knowledge and skills in trial and negotiation that are necessary to securing full and fair compensation in any kind of personal injury matter throughout Morris County including the towns, boroughs, cities and townships of Morristown, Mendham, Chester, Harding, Chatham, Morris Township, Morris Plains, and all of Northern New Jersey. To learn more about your rights to financial compensation through a personal injury claim, please contact us online or call our Morristown offices today at 973-520-0525 for a free and confidential consultation.